After an alarming health scare in 2013, many were left wondering if Lemmy Kilmister would continue to soldier on. Motörhead assured fans that everyone’s beloved whiskey loving mainman was doing well, having traded bourbon for vodka while cutting back on the smokes a bit (Lemmy admitted that he’s unlikely to stop altogether, as he’s been smoking since he was eleven). Despite the health woes, Lemmy claimed that he’s still indestructible and vows to continue performing until he can’t physically get on stage anymore. 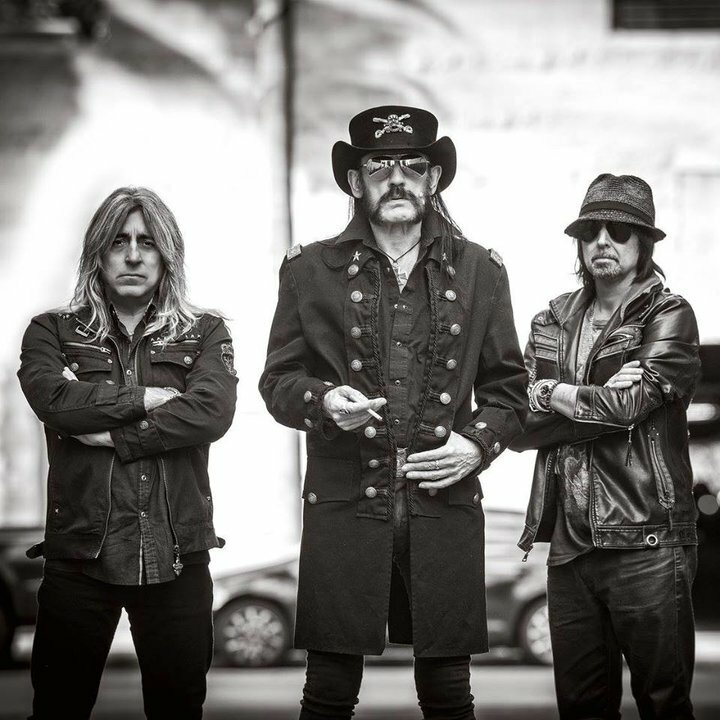 To prove his point, Motörhead, in their fortieth year of existence, along with Lemmy at a mere sixty-nine years young, released their twenty-third album, 2015’s Bad Magic. Much like the rest of their career, Bad Magic could be described as business as usual. Lemmy’s healthier lifestyle choices, if we can call them that, prove to have little effect on his performance, as he’s still able to channel that whiskey-drenched, gruff delivery that only decades of living in sin could produce. Joined again by Phil Campbell on guitar and Mikkey Dee on drums, Motörhead continues with their twelfth album featuring this lineup. It’s safe to say that Bad Magic sounds mighty similar to the band’s last two decades of albums, but one of Motörhead’s strongest points over the years has been their ability to sound fresh and virile despite their longevity. Falling in line with the band’s previous outing, Aftermath, the tracks on Bad Magic bring a wide swath of sounds, from the fiery and destructive “Shoot Out All of Your Lights”, with it steamrolling percussion, to the catchier, rollicking sounds of “Fire Storm Hotel”, which focuses Lemmy’s gruff tones and Phil’s bluesy rock licks. “Till the End” is one of Motörhead’s finest ballads in years as well, paying fine tribute to Lemmy’s rough delivery while Phil brings a solid melody. 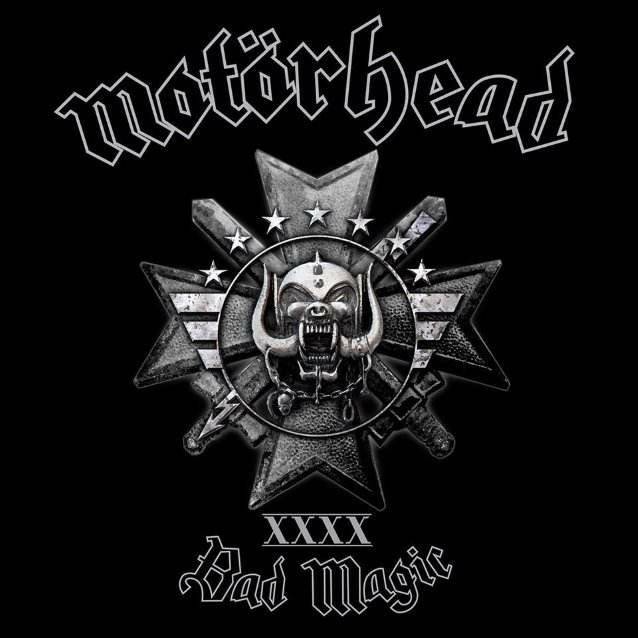 Really, Bad Magic is an amalgamation of all of Motörhead’s strongest points. The driving bass lines and ferocious riffs, not to mention Mikkey’s thundering double kicks, sound like a band rejuvenated, without belying the band’s four decades of experience. Let’s not forget the bonus track, which is a cover of The Rolling Stones’ “Sympathy for the Devil”, which brings Motörhead’s edge to the classic, while not straying far from the original. While there has yet to be an inherently bad album in Motörhead’s catalog, Bad Magic shows the band at their strongest in quite some time. Perhaps Lemmy’s health scare brought a renewed vigor and fueled a fire under their collective asses during song writing. Despite the reduction in smokes and booze, Motörhead’s latest effort captures the band’s essence with a blend of rollicking heavy metal, hard rock swagger and bar room attitude. Bad Magic shows that Motörhead is unstoppable and Lemmy is, indeed, indestructible. This entry was posted in Featured Review, Reviews and tagged 40 years, Bad Magic, featured, hard rock, hawkwind, Heavy Metal, Lemmy, London, Mikkey Dee, Motorhead, Phil Campbell, UDR Music, united kingdom. Scraping the bottom of the barrel since 1983, Shawn Miller is a heavy metal enthusiast living in the not-so-far reaches of Central PA. He is The Metal Observer's resident purveyor of the blackened, the foul and the filthy. A very good and insightful reveiw. Having seen Motorhead several times in the past, including the Download Festival a few years ago, this was a really fun show, but definitely an older, more metal crowd than Nine Inch Nails. You are right that these “older” metal shows are really brutal and rough. Being in the pit with the other crazies was a fun, although it was a bruising experience (I have the bruises to prove it!). As Lemmy likes to say “Louder, Faster, Better.” Motorhead is definitely not for everyone, but if you want to just to go to a really loud and heavy show, Lemmy is the man!